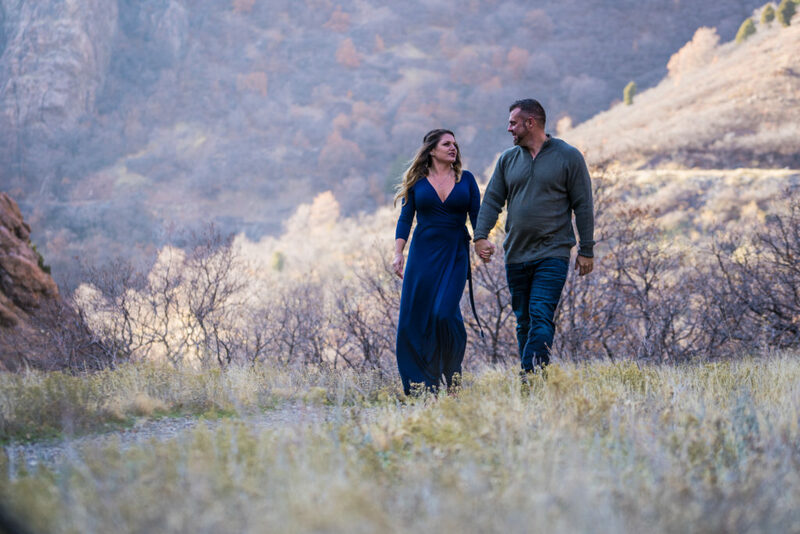 Being from Utah, Crystal and Jay wanted to have their engagement photo shoot in the Utah mountains. 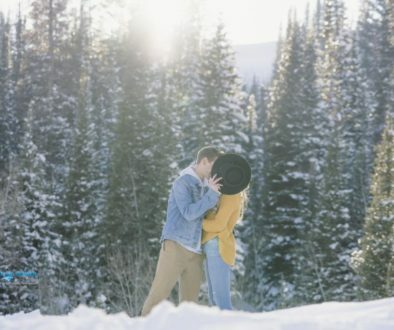 With magazine worthy scenery in every which direction, the Wasatch mountains are a favorite among couples for engagements and even bridals. Crystal and Jay are such a fun loving couple. With a wedding in Mexico in the upcoming months, they wanted to bring a little slice of home along with them so we did their engagement photo shoot in Big Cottonwood Canyon. Crystal was a trooper. Every few minutes, we’d take a small break so she could warm up using his coat. I brought 2 assistants along with me, but Amber couldn’t hack it, Jay and Crystal were so sweet to offer Amber a seat in their car to keep warm while we finished up. 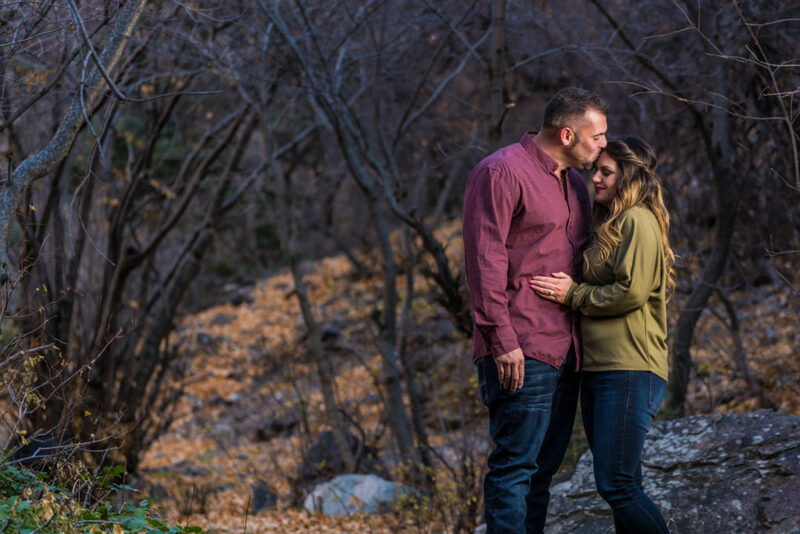 I love engagement photography. It starts off with the couples always a little bit shy, but by the end we break them out of their shell and they’re relaxed enough to bring out their true personalities. 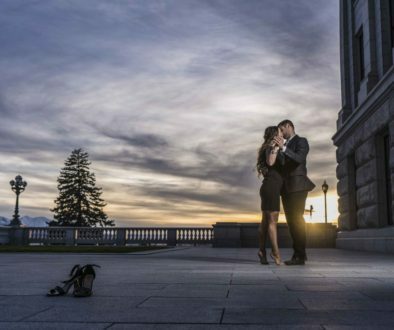 I may increase my engagement photo packages to 2 hours next time so I can have more of a chance to get real personality. Just as we were finishing up and walking back to our cars, I saw an opening in traffic for about 5 seconds at a time. 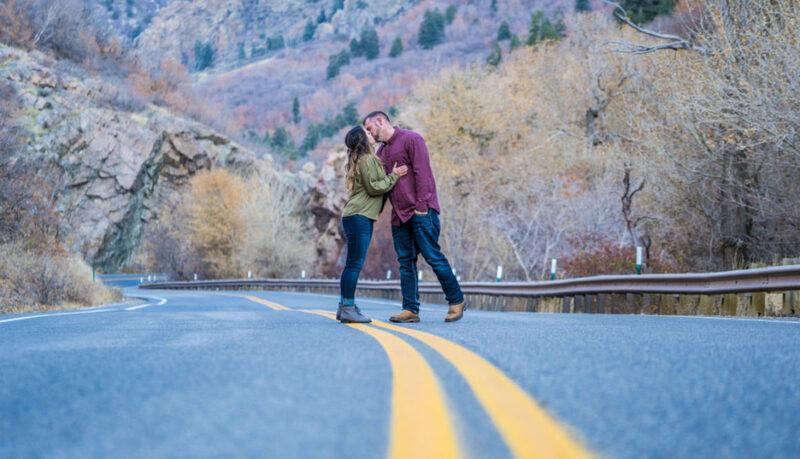 We ran out in the middle of the road for one last photo opportunity that turned out to be so much fun! 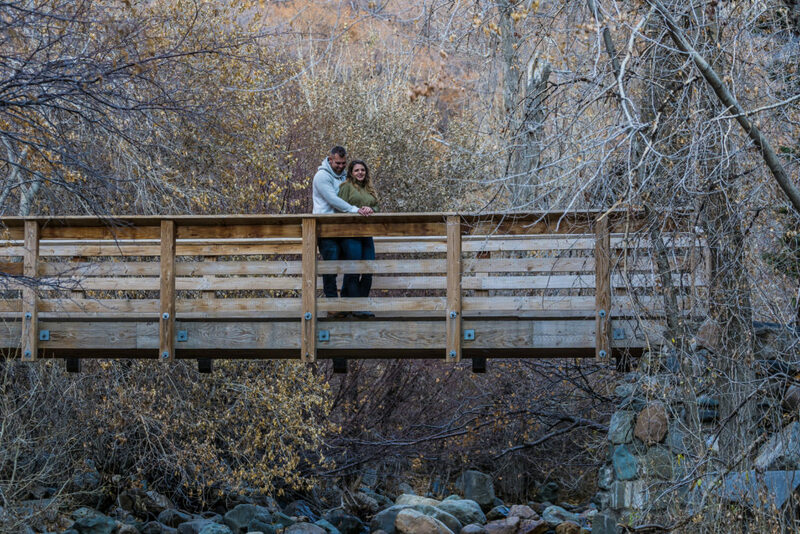 Big Cottonwood Canyon is a quick 25 minutes away from Salt Lake International Airport (22 miles), and is home to two world-class ski resorts (Solitude & Brighton), legendary rock climbing routes, epic backcountry skiing access, hiking and mountain biking trails, and picnic areas straight out of an outdoor magazine. So come take a drive through this ancient canyon created by both glacier and stream erosion. Pack a picnic and maybe your hiking boots to stretch your legs.